Defence Turkey: Rolls-Royce has a history as a supplier to the Turkish Armed Forces, could you please assess your activities in Turkey over the years? We have a significant presence in country with our air, marine and land presence. My focus in my role is defense aerospace; we’ve been here for roughly 50 years focused mainly on transport, back to the C160 the C130 and in transport coming on board now is the A400M which we’re part of with the TP400 engine. We’ve also got the CTS800 in the “Atak” helicopter and most recently in the TLUH program as well. I think we have a strong presence and hopefully we can build on that through the Turkish Fighter in the coming years. Defence Turkey: It is well known that Turkey has the TF-X program on its agenda and that BAE Systems and TAI are in partnership with this program. It is expected that the engine will be selected very soon. Could you please inform us about your approach to this program and how do you assess your position in this program? The news yesterday of the announcement of the Rolls Royce - Kale joint venture, where we have partnered with Kale a great Turkish company that’s already involved in aerospace both in manufacturing for civil and defense components, for both the airframes and the engines. We are looking to work with them, establish a partnership that is here for the long-term that allows us to co-develop an engine with Turkey in Turkey. This approach allows us to optimize the engine for the platform and transfer the capability through joint venture. Together those two things will allow Turkey to export. Defence Turkey: What is the dynamic with the Eurojet side, considering the joint venture with Kale, for example? Rolls-Royce is involved in two of the offerings. The Eurojet and the co-developed engine through the Rolls-Royce – Kale Group joint venture. Clearly there’s a competition so we have very clear firewalls inside Rolls-Royce, 2 very separate teams to make sure there’s no transfer of information between the two, and that we fulfill all of the regulatory requirements for the competition. Defence Turkey: Rolls-Royce and Kale Group, a major partner in global and national defense and aerospace industries, have announced the formation of a joint venture company to aspire the indigenous aero engine in Turkey. Could you please inform us about this joint venture in detail? It’s 51% Kale 49% Rolls-Royce, so therefore a Turkish company based in Turkey. We will use that to create capability through the transfer of data from the UK from Rolls-Royce. Through the TF-X program which will be the first catalyst project, we will create about 350 Turkish engineers in Turkey, that to us is the unique feature of the offer as it is creating design capability in Turkey for Turkey.This design capability will then allow the engine to be manufactured in Turkey using the supply chains in Turkey and creating ecosystems around it. It will also enable the engine to be supported out of Turkey. That’s clearly what we hear from SSM and from the government, it is the aspiration to have the indigenous capability, and it is fully supported by the UK government and that’s really important. The government, the political connections, the bilateral relationship supports that cooperation because ultimately it allows that transfer of technology. 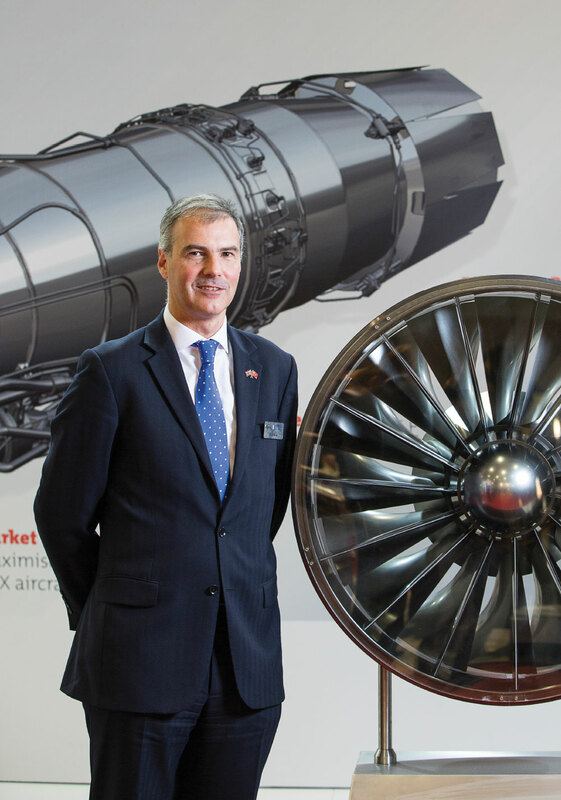 The UK has stepped forward in a fairly unprecedented way on the engine as it has already granted us export licenses to allow us to do that, and that’s before a contract. The UK is looking to demonstrate its commitment to Turkey and to ensure that Turkey understands it is here for the long-term with industrial cooperation and government to government cooperation. There’s a number of cooperation agreements with Turkey: there’s security, the military cooperation agreement, and there’s the recent Turkish Fighter government to government. Providing the assurances builds a confidence on both sides that we can make that work through the program on TF-X and then future programs thereafter. Defence Turkey: What type of training programs are on the radar regarding building up of qualified human labor in Turkey? There’s clearly a military cooperation between the UK and Turkey, where the governments are looking to collaborate across training, across joint operations, etc. For the government to government it’s best to speak to them. At an industrial level with the joint venture with Kale we are focused on bringing across Turkish engineers to the UK, training using Rolls-Royce expertise, transferring that knowledge to those engineers and then bringing them back into Turkey so they can start to create self- sustaining capability, which in time can be transfered within the ecosystem that is Turkey. Absolutely we’ll share training, tools, processes, that’s part of building that capability and putting it into the joint venture. What we are setting up is a joint venture that can run the program. If we are successful it will take the contract, it would run the program, design the engine and in time build up other capabilities such as procurement and finance. It’s a business. Clearly the engineering design capability is the key feature that I know aligns to Turkey’s aspirations, but it’s a business. 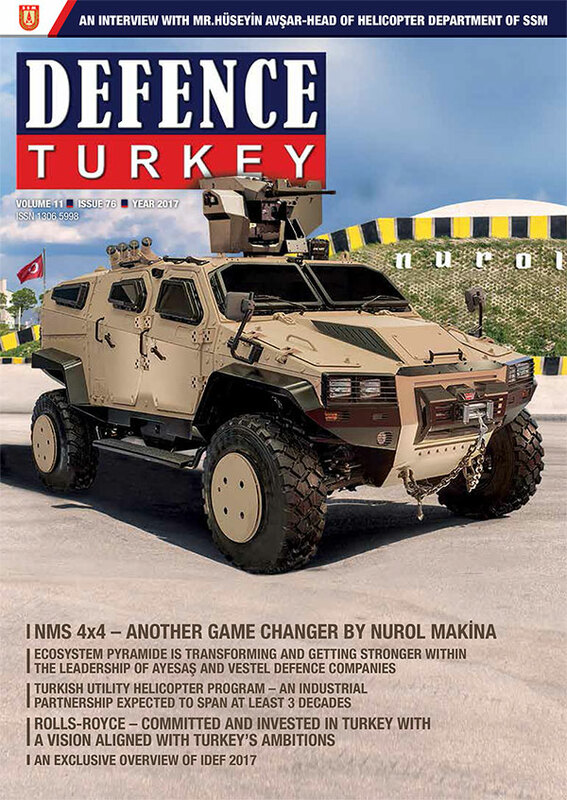 Defence Turkey: At this point are there other new markets opening up, or new cooperation on the horizon related to Turkey and the global supply chain? What we’re doing through TF-X is building that capability both in design, but also in supply chain. I think we’ve had some of these conversations where people say the joint venture is going to do the manufacturing. That’s not necessarily the most economic and efficient way, as there is a Turkish and global supply chain out there that we could pull on. The joint venture will buy and manufacture depending on its most efficient, most cost-effective options and customer requirements. Clearly there’s a desire to do as much of that in Turkey and we’ll support that, but there are third party items that are not made in Turkey today, and we’ve had these discussions with the customer, the joint venture will procure them from those parties. I think it’s important for the joint venture to have the autonomy to get the most efficient cost-effective solution for SSM and the Turkish government that meets their requirements, but recognizes that its doing as much of that in Turkey as possible, so it’s a balance. Rolls-Royce today sources only about 20-30% in house the rest is from the outside. There’s cost efficiency in balancing that this. Defence Turkey: Can you provide any details about the timeline for the Prototype? We’re confident we can meet the timescales. We’re confident that there’s a good capability in Turkey, such as the Kale - Pratt Whitney manufacturing JV, Alp Aviation, so it’s how we build on that using the AMTC and use this joint venture build design capability. I think we’re in the early stages, I think that ambition and the vision is alive, it’s going to take time. Ultimately, we’ll line up with the airframe, that’s part of the design process. The good thing about a new engine is that you can match the airframe and engine, and that’s delivers the best capability, along with what I’ve talked about with raising the engineers and self-sufficiency in Turkey, then you build the autonomy to export, and that’s ultimately what we understand the ambition is, to see Turkey creating that capability to export. By matching the engine with the aircraft, we can fit that. Defence Turkey: What are your plans for New facilities in Turkey? It’s in the early stages but, if selected, we would be looking to potentially put new facilities in place. At the moment, our thinking is probably an office in Istanbul and also an office in Ankara as we’ve got to be close to TAI, SSM and we’ve got to have that very collaborative relationship between the parties. The clear ambition in line with Turkey’s ambition is to build production capability and the supply chain within Turkey. In 2015 Rolls-Royce signed an MOU to develop an AMTC. That’s a key enabler for this project as it allows manufacturing processes to be developed and enables more production in Turkey in 5-10 years time. That’s really all about Rolls-Royce’s commitment and investment in Turkey and the alignment of its vision with Turkey’s ambitions. Defence Turkey: Logistics Service has become one of the priority targets of Turkey; Rolls-Royce offers a comprehensive suite of services to ensure its customers all enjoy the benefit of renewed engine life and enhanced performance for years to come. Therefore, could there be any cooperation considered in this field? As part of the TF-X program we’ve spoken a lot about support in meetings with the Air Force in Turkey, SSM and government officials. It’s very important, and while it may seem that the support phase is many years away, it’s important to design your engine to match your service solution - and a new engine allows you to do that. There’s also opportunity on current products whether it’s the A400M coming into service or some of the legacy products to change those support solutions and ultimately that’s about collaboration. We’ve done that in the UK and the US and customers around the world are starting to show interest in adapting their support mechanism. It’s a partnership and it takes time. Defence Turkey: Rolls-Royce is the first industrial lead and founder member of Turkey’s Advanced Manufacturing Technology Center (AMTC), a project led by Turkey’s Ministry of Science, Industry & Technology and with the endorsements of the Ministries of Defense, Transportation and Energy. Could you please enlighten us on the developments made in this program? Rolls-Royce spent £ 1.3 billion on research & development last year. Our R&D is set up around 3 time frames: Vision20, Vision10 and Vision5 – for e technologies that we will field in 5, 10 and 20 years. Many people think about research being product-based, but research into manufacturing processes is equally important. The AMTC brings that to Turkey and allows us to do research with Turkey with Alp, Kale and other suppliers and manufacturers to develop capabilities and technology for TF-X and beyond in Turkey. I think we can do some research today with Turkey and who knows what tomorrow brings. We’ve been working with TÜBİTAK to evolve the concept and we are working with key government and industry stakeholders to establish the AMTC platform in Turkey. We’re on track to establish the AMTC platform in the coming years. 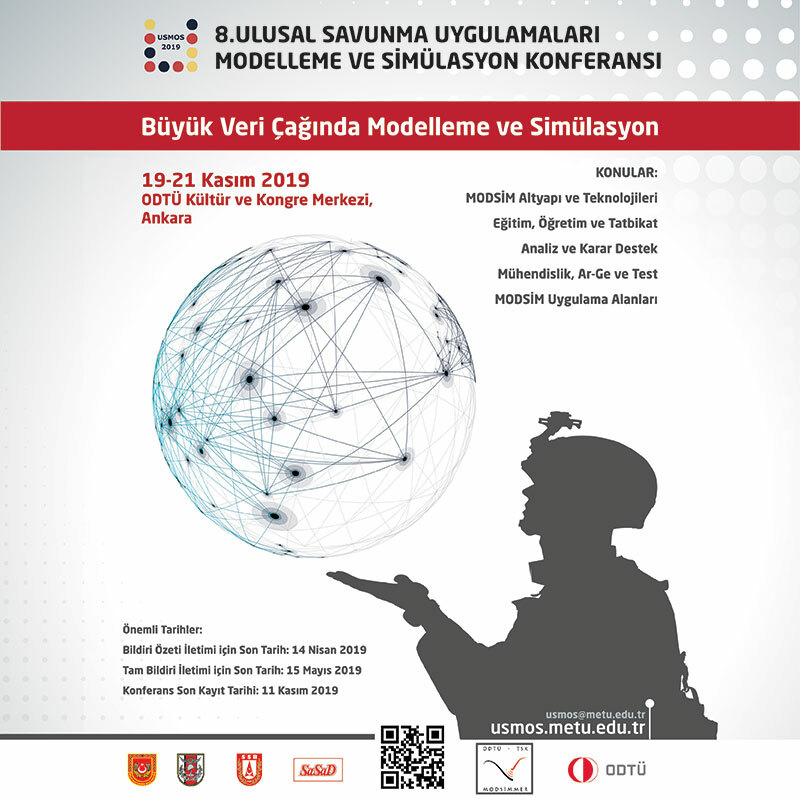 Defence Turkey: What are your other strategies and plans regarding cooperation, joint production, R&D activities in Turkey to strengthen collaboration with the Turkish Authorities, Defense Industry and Universities? Defence Turkey: Rolls-Royce has signed a MoU with Aselsan to develop cooperation in the field of engine control and monitoring systems. Could you please inform us about the steps taken in this program? We’ve had a variety of conversations with Aselsan and TF-X is a great opportunity to build that into something that can really benefit Turkey in terms of the program and we are looking to re-engage in that conversation and expand that conversation now if we are successful with TF-X. You’ve got to have a tangible program to bring it together, to integrate it and to pull it through into the market and I think that’s what we hope with TF-X through the joint venture we can pull that in and create the focus. Defence Turkey: Would you like to add something and give a message to our readers?